Even if you don’t stitch a single one of these insects, this book is a BEAUTIFUL book you’ll find yourself browsing again and again. Jane Nicholas is the master of stumpwork and these insects look real. 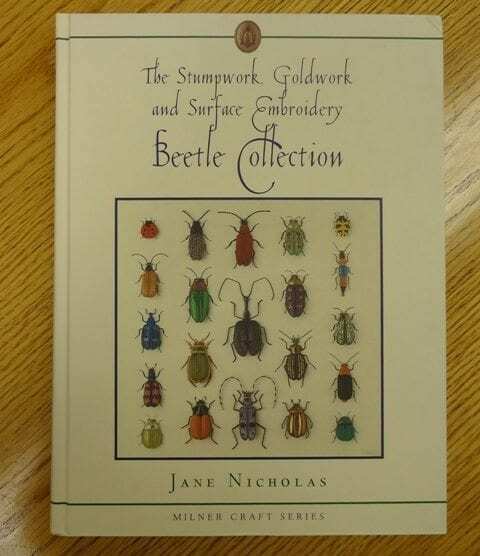 Jane takes you through creating your own beetles starting with their anatomy. 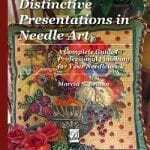 The book is divided into parts including The Beetle as Embellishment, Beetle Wing Embroidery, Stumpwork Beetles, Goldwork Beetles, Beetles in Surface Embroidery, Applique’ Beetles, Beetle Bags and Techniques and Equpment. Step by step text and color photos will help you along the way. Hardbound, over 400 pages, published in 2004, this book is SIGNED BY JANE NICHOLAS. Only one in stock.